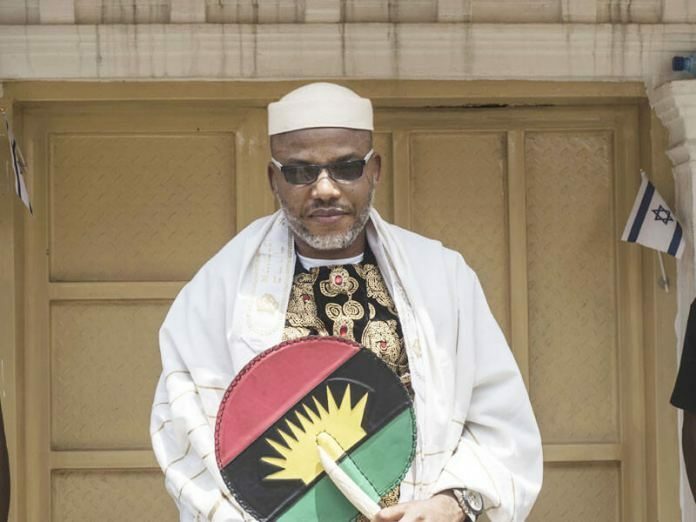 Nnamdi Kanu said people must be allowed to provide their views and has criticised President Muhammadu Buhari for comparing IPOB to Boko Haram.According to Naij reports IPOB leader Nnamdi Kanu spoke in Afaraukwu Ibeku, where he was responding to the call by the president to security operatives to clamp down on Boko Haram and secessionist groups. Kanu said said the people must not be “railroaded into succumbing to intimidation.” Insisting that use of force would not solve the country’s problem. Nnamdi Kanu said Buhari “should know that there are better ways to handle issues that concern the growth and development of the country instead of resorting to threat or intimidation of the citizenry into believing in his course.